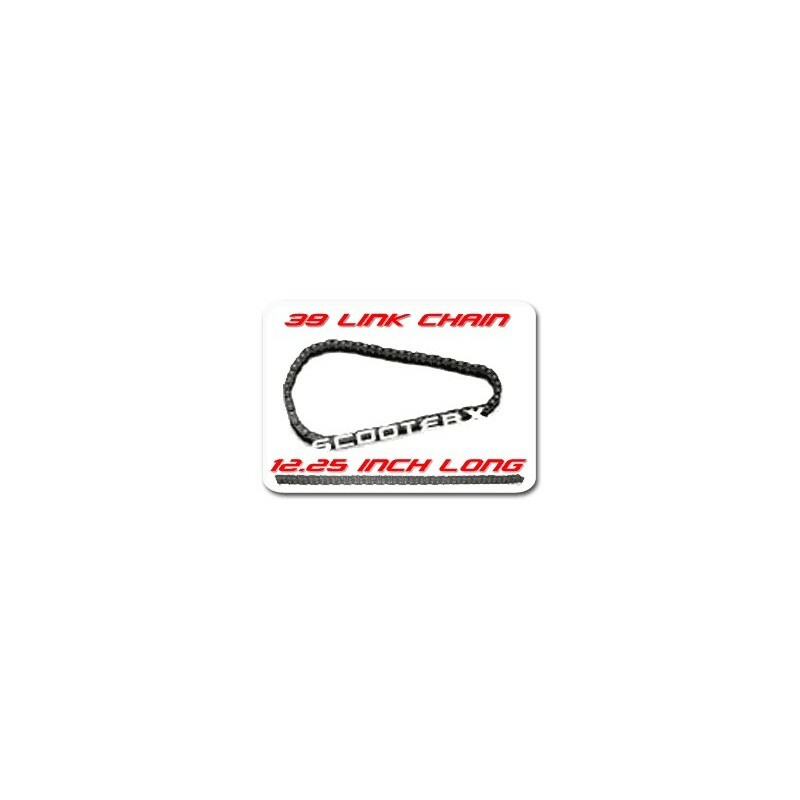 8mm chain by the foot is great if you dont know your old chain size or are making a custom application. This chain size is commonly used on scooter, go karts, mini choppers, and pocket bikes. ***THIS CHAIN IS SOLD BY THE FOOT MAKE SURE TO ORDER THE CORRECT QUANITY (FEET) YOU NEED***** EXAMPLE - 1 FOOT = QTY 1 2 FEET = QTY 2.. You will also need to order a MASTER LINK if you do not have one!